Harry and Miles live with their father, an abalone fisherman, on the south-east coast of Tasmania. With their mum dead, they are left to look after themselves. When Miles isn't helping out on the boat they explore the coast, and Miles and his older brother, Joe, love to surf. Harry is afraid of the water. Favel Parrett won a place in the 2008 Hachette Australia/Queensland Writers Centre Manuscript Development Program and was a recipient of an Australian Society of Authors mentorship in 2009. 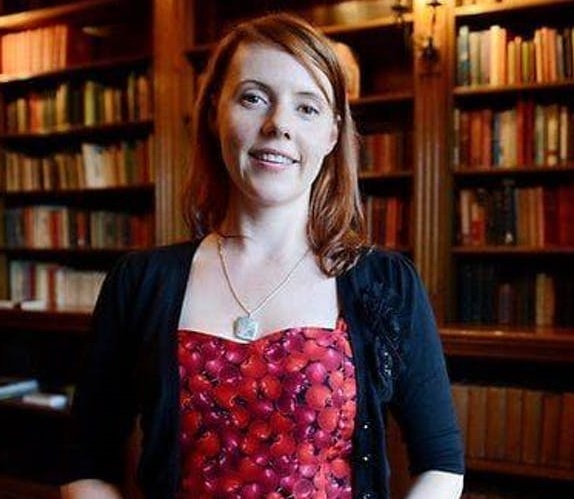 Past the Shallows, her first novel, was shortlisted for the 2012 Miles Franklin Award and she won Newcomer of the Year in the Australian Book Industry Awards and the Dobbie Literary Award in 2012. Favel has also had a number of short stories published in literary journals, including the Griffith REVIEW, Island and Wet Ink. She has a passion for travel, especially to Africa and Bhutan, and loves to surf when she can. Favel lives in Victoria and is currently working on her next novel. 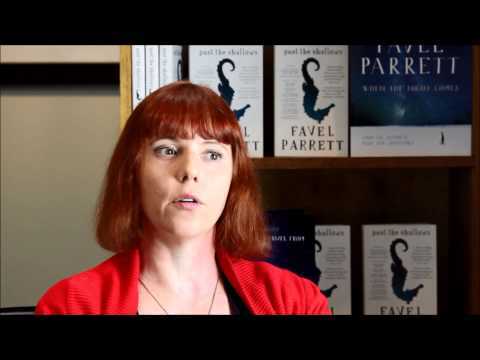 Past The Shallows is the first novel by award-winning Australian author, Favel Parrett. Since his Mum died in a car accident, Harry Curren, now almost nine years old, lives with his Dad and his older brother, Miles, on coastal southern Tasmania. Joe's old enough to live on his own in Grandad's house. It's school holidays, and Harry would like to spend time with his brothers, even wander the beach when they go for a surf, but after Uncle Nick drowned, Dad makes Miles go on the boat with him and Jeff and Martin, not something Miles enjoys. Living with Dad is no picnic: his moods are unpredictable, and when he's angry, Steven Curren can be violent, so the boys try to tread lightly. There's Aunty Jean who does stuff for them, but she's nothing like her sister. And Harry's best friend Stuart, but he's not always at the caravan. One day, though, he follows a friendly little kelpie through the bush to a shack, before realising that's where George Fuller lives. Everyone stays away from George, Harry's not sure why. Parrett gives the reader a story that's spare on detail, but the shocking truth of what happened back then is gradually revealed. Her descriptive prose is beautiful, in particular her renderings of the sea and surfing. The comparisons with Tim Winton's work are certainly valid. The relationship between the three brothers is heartening and Harry is impossible not to love, to care about, to feel for. Moving and heart-breaking, this is an amazing debut novel. Past The Shallows is a deeply engaging book which demonstrates a sound understanding of family violence, isolation and alcoholism. Three children face the daily challenges from their abusive father and his cohorts but manage to find moments of wonder and comfort in their environment and with one another. A story of the responsibility felt by siblings to protect one another while also surviving themselves. A profoundly moving story. It has been a long while since a novel brought me to tears. Powerful story exploring family dynamics and domestic violence through the eyes of children. You could feel the desolation & isolation. Out on the boat I found myself holding my breath waiting for what was going to happen next. Very emotional story. One of my best reads this year. I enjoyed this book in a detached sort of way. I think I had trouble engaging with the characters even though the book was well written. The language was very descriptive and set the images and scenes well. I just feel I should have felt more for the boys and the horrible life they were living. Great read. Similar to a good tim winton novel. couldn't put this down,I highly recommend it. In 2011, Favel Parrett's career was launched with the critically-acclaimed debut Past the Shadows. A heart-breaking novel, it was sold internationally, shortlisted in the prestigious Miles Franklin Award and won the Dobbie Literary Award. Favel herself won the ABIA Newcomer of the Year Award in 2012.